Hardcover, 11 x 13 in. / 280 pgs / 150 color / 10 bw. Text by Ezra Shales, MaLin Wilson-Powell. 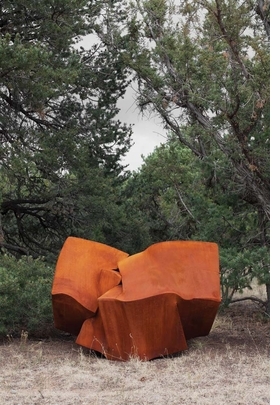 Originally trained as a blacksmith, artist and MacArthur Fellow Tom Joyce (born 1956) is internationally recognized as one of the foremost practitioners in the field for his contributions to the art and science of forging iron. Apprenticing as a teenager in the early 1970s, Joyce applies hot metalworking techniques to produce sculpture, drawings and photographs that often incorporate industrial remnants from large scale manufacturing or iron fragments collected for their significance to a specific region or event. As in recent commissions for the Museum of Arts and Design in NYC (seven interactive sculptures forged from 19,500 pounds of salvaged stainless steel) and for the National September 11 Memorial Museum, (a quote by Virgil forged from 8,000 pounds of iron retrieved from the collapsed World Trade Center towers), Joyce continues to examine, through the inheritance of prior use, the environmental, political and historical implications of using iron in his work. 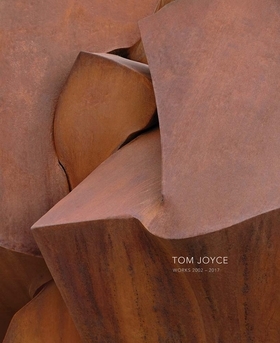 Featured image is reproduced from Tom Joyce. FORMAT: Hbk, 11 x 13 in. / 280 pgs / 150 color / 10 b&w.